A look out the window says winter, but a look at the schedule says spring. Well, at least in terms of high school sports seasons, as we’re less than two weeks from the first practices. Whether or not we’re still trapped in a new ice age at that point, Monday, Feb. 25 marks the start for Coupeville High School track, baseball, soccer, tennis, and softball. The first game arrives Mar. 9, when the Wolf boys soccer squad welcomes Chimacum to town for a non-conference tilt. As you mentally prepare yourself for a typical Central Whidbey spring sports season of sideways rain and howling prairie wind, as opposed to snow and ice, here’s a look at all the team’s schedules. You may notice a few quirks which come along with being in a new league this season. After bouncing from team to team in a haphazard manner in the Olympic League, Coupeville baseball gets to return to how life was back in the Cascade Conference. Teams will play the same league opponent three times in one week (Monday, Wednesday, Friday), either going home, away, home, or away, home, away. That gives squads a chance to play actual series, like college or MLB teams do, and forces coaches to make more adjustments as they take into consideration state-mandated pitch count limits and other factors. Softball also plays each league foe three times, though those meetings are scattered across the schedule, and King’s doesn’t field a team in the sport. Boys soccer and girls tennis face off with conference rivals twice, but the netters will see a different line-up than anyone else. Neither Cedar Park Christian or Sultan have tennis teams, but Friday Harbor, the only school to play the sport in the 2B/1B Northwest League, is taking one of their slots. It makes sense, as the Wolverines are a longtime Coupeville rival, and 1A, 2B, and 1B all compete in the same state tourney in tennis. Finally, track and field boasts its most home meets in forever. The Wolves, still enjoying the “new oval” smell of their renovated running surface, have a pair of three-team league meets and an invitational scheduled to play out in front of local fans. With trips to Oak Harbor and South Whidbey also on the schedule, Coupeville will stay on Whidbey Island for five of nine regular-season events currently on the schedule. And, one last word of warning — only a fool expects spring sports to play out 100% to schedule. Unless the weather gods take pity on us after giving us the shaft this past week-plus, keep one eye peeled for updates. So, as of Feb. 12, this is where things are for CHS varsity teams, with * indicating a league game. It’s both an eternity and a quick flick of the calendar. And, as of today, seven weeks is exactly how long until the first official high school basketball game tips off. Coupeville’s squads, led by David and Amy King (girls) and Brad Sherman and Chris Smith (boys) hit the courts Nov. 12 for the first day of practice, while the Wolf girls host Meridian Nov. 27 to start the 2018-19 season. In preparation of that, CHS Athletic Director Willie Smith officially released the buffed, shined and (hopefully) final version of the schedules Tuesday afternoon. 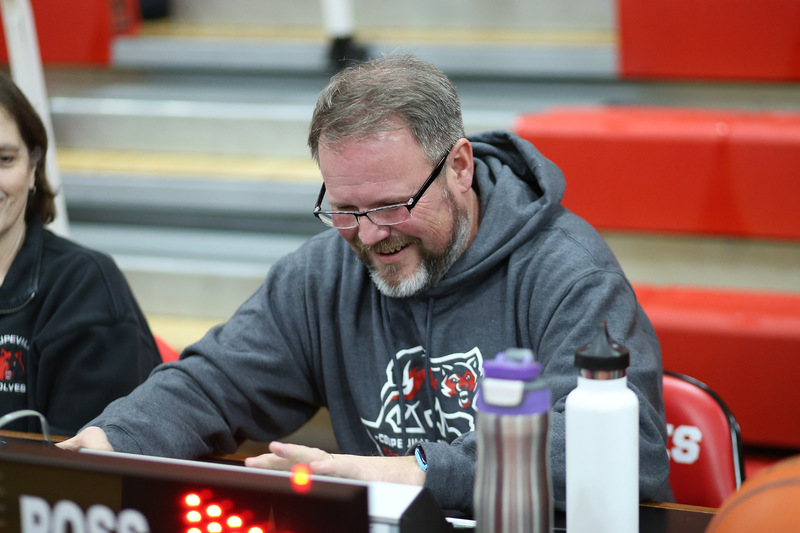 As Wolf hoops kicks off its first voyage through the North Sound Conference, the two squads sit with 10 league games and eight non-league games apiece. The girls get a true split schedule, with nine at home and nine on the road, while the boys will spend a bit more time on the bus, with a 10-8 split in favor of off-Island match-ups. The most intriguing game on the schedule for either teams might be the opener for the CHS boys. The foe in that game, a home tilt Nov. 28, is the big school to the North, 3A Oak Harbor. 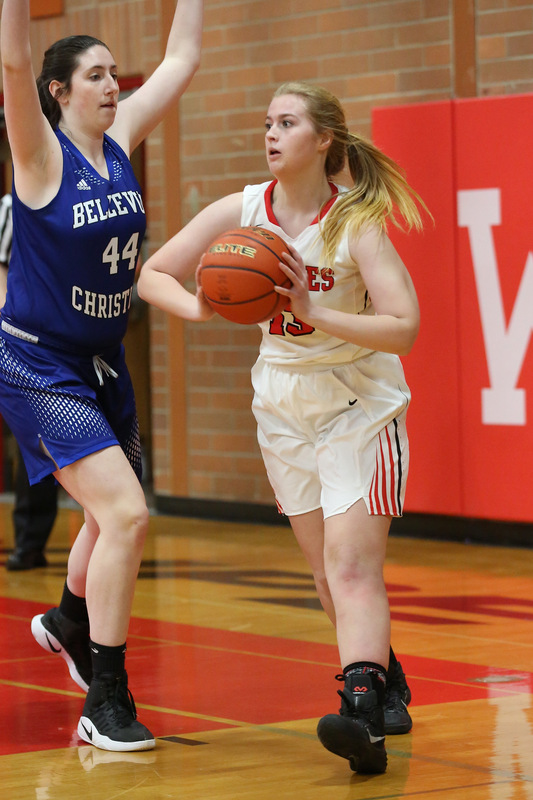 It’s the first time the two schools have faced off in a regular-season hardwood game since Coupeville stunned the Wildcats 66-61 way back on Dec. 21, 2009. Yes, we’re still knee-deep in summer, which you can tell by the frequent rain storms. But, out there on the horizon, you can see the faintest rumors of the approaching fall sports season. The first game — a non-conference road football clash Aug. 31 with Port Townsend — is 59 days away. After that comes the first league battle (boys tennis Sept. 5) and the first home games (volleyball and girls soccer Sept. 6). The new school year will bring a new league, as Coupeville has bolted from the 1A Olympic League after four years to get in on the ground floor of the new 1A North Sound Conference. That means Klahowya is long gone, while Chimacum and Port Townsend remain only as the occasional non-conference entry on the schedule. CHS will square off with South Whidbey, King’s, Cedar Park Christian-Bothell, Sultan and Granite Falls in the new league, though boys tennis will face a slightly different road than their fellow athletes. 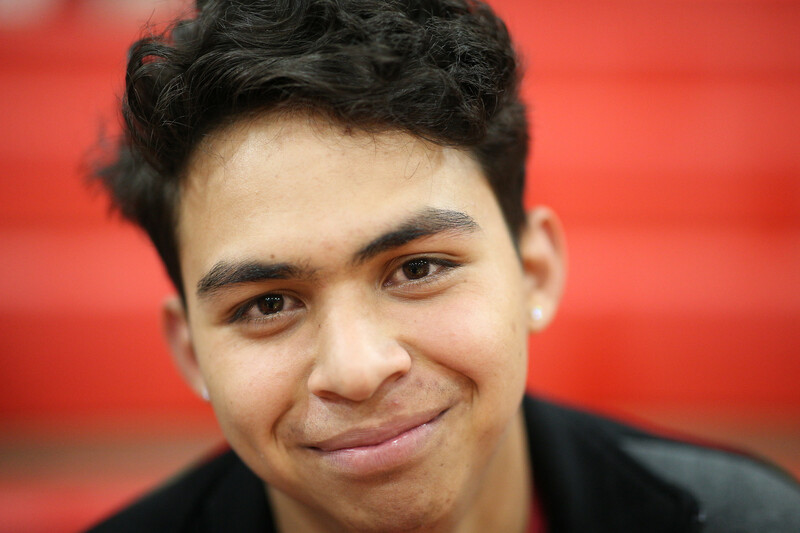 The Wolf netters, along with South Whidbey, the only other North Sound Conference school to play boys tennis, will compete in the Emerald City League. That pits the two Island schools against private school powerhouses like two-time defending state champs University Prep. The league change also affects Coupeville’s middle school teams, as they get away from ginormous Stevens and Sequim, which fed 2A high schools, as well as leaving Forks, Chimacum and Blue Heron behind. Sultan, Granite Falls, King’s and Langley form the core of the new foes, with Northshore Christian Academy also in the mix for some sports. With some trepidation, I offer the schedules below, which cover five high school and three middle school programs. While I’d like to believe these are the final, set-in-stone, schedules, I know that’s wishful thinking. So, as we move forward, keep an eye on both the school and league sites, because things can, and will, change. CMS track heads to starting line!! Almost time to head outside. 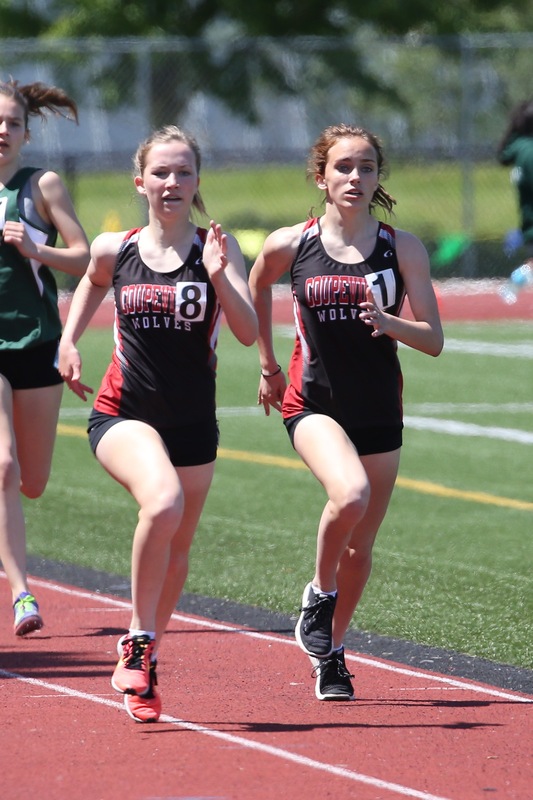 With basketball done, Coupeville Middle School moves on to the final athletic season of the school year with the start of track Apr. 10. The Wolves put in two weeks of practice before their first meet, and will get to compete at their own facilities in two of five meets, including the league championships. Die-hard Coupeville High School spring sports fan? Gas up the car and get ready to enjoy ferry life. All five Wolf teams have more road games than home contests during their final spin through the Olympic League, with softball getting the shortest end of the stick. The CHS sluggers, who went 19-5 last season and came within a strike of making the state tourney, are scheduled to play 12 of 20 regular-season games away from their home field. Baseball (11 of 20 on the road), girls tennis (9 of 17) and boys soccer (8 of 15), have it slightly better, while track, as usual, spends 98.2% of its season away from home. 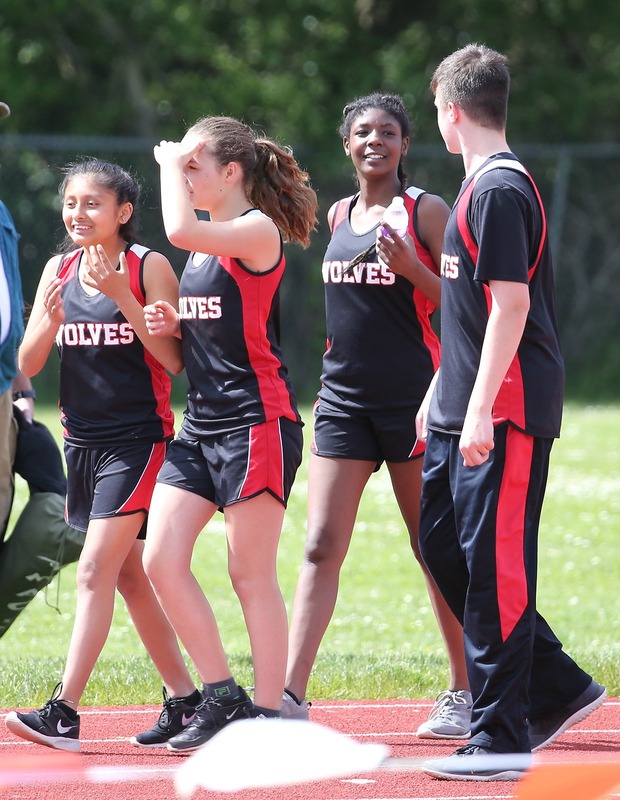 The Wolves do host one high school track meet (Mar. 28 vs. Port Townsend, Klahowya and Chimacum), which will be the first one to go down in front of the school’s new grandstand. Boys soccer gets to debut the new stadium, when it hosts 2A non-conference foe Olympic Mar. 10. Will there be cake to celebrate the debut of the shiny new grandstand? We can only hope! Another milestone is set to arrive May 7, when the Wolf softball squad plays its final regular-season game. Chimacum is the foe that day, and the bout is the last regular-season conference game in any sport Coupeville will play against a 1A Olympic League opponent. After a four-year run in their current league, the Wolves jump to the new six-team North Sound Conference with the start of the 2018-2019 school year. As you peruse the schedules below, remember, weather, ferries and other assorted problems can, and will, likely rip them to shreds at some point.